Alumni: If I left you off the list, send me an email! It wasn't intentional. Anna Ulrika Lowegard, Ph.D., 2019. Dissertation: "Novel Algorithms and Tools for Computational Protein Design with Applications to Drug Resistance Prediction, Antibody Design, Peptide Inhibitor Design, and Protein Stability Prediction" Program in Computational Biology, Duke University. Jonathan Dragon Jou, Ph.D., 2018. Dissertation: "Novel Computational Protein Design Algorithms with Sparse Residue Interaction Graphs, Ensembles, and Mathematical Guarantees, and their Application to Antibody Design." Department of Computer Science, Duke University. 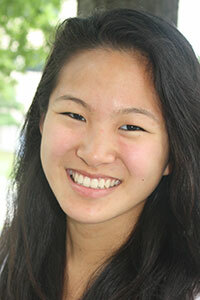 Dr. Jou is currently a Postdoc at Duke University. Dissertation: "Efficient New Computational Protein Design Algorithms, with Applications to Drug Resistance Prediction and HIV Antibody Design." Program in Computational Biology, Duke University Medical Center. Dr. Ojewole is currently a Vertex Fellow at Vertex Pharmaceuticals. Dissertation: "Protein and drug design algorithms using improved biophysical modeling," Department of Computer Science, Duke University. 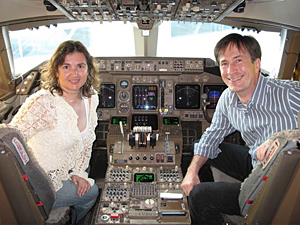 Dr. Hallen is an Assistant Professor at Toyota Technological Institute at the University of Chicago. Dissertation: "RNA 3D Structure Analysis and Validation, and Design Algorithms for Proteins and RNA," Program in Computational Biology, Duke University Medical Center. Dr. Jain is currently a postdoc in the laboratory of Tamar Schlick, Department of Chemistry, NYU Medical School. Dissertation: "Computational Protein Design with Ensembles, Flexibility and Mathematical Guarantees, and its Application to Drug Resistance Prediction, and Antibody Design," Department of Computer Science, Duke University. Dr. Gainza is now a research associate (postdoc) in the Laboratory of Protein Design and Immunoengineering, EPFL, Lausanne, Switzerland. Dissertation: "Solution-Phase Nuclear Magnetic Resonance Studies of a Nonribosomal Peptide Synthetase Adenylation Domain, of a Bacterial Glycosyltransferase, and the Rational Design of Inhibitors and Mutants of Glycosyltlransferases," Duke University. Dissertation: "Novel Computational Protein Design Algorithms with Applications to Cystic Fibrosis and HIV," Program in Computational Biology, Duke University Medical Center. Dr. Roberts is now a protein design research scientist at Arzeda Corp., Inc.
Dissertation: "Geometric Algorithms for Protein Structure Determination Using Measurements From NMR Spectroscopy," Department of Computer Science, Duke University. 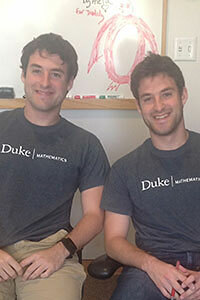 Dr. Martin is now a research scientist in Durham and a postdoc at Duke. First job: was a researcher at Scalable Algorithmics, LLC. Dissertation: "Studies on Redesign and Solution Structure Determination of Nonribosomal Peptide Synthetases and Redox Regulation of Phosphatases," Department of Biochemistry, School of Medicine, Duke University Medical Center. Dr. Chen is now a postdoc in the NMR lab of Prof. Jim Prestegard, University of Georgia. Dissertation: "Developing In Vivo Intra-cellular Neuronal Recording System for Freely Behaving Small Animals," Department of Electrical and Computer Engineering, Pratt School of Engineering, Duke University. Dr. Yoon is now a researcher at Intel. Dissertation: "Novel Algorithms for Protein Structure Determination from Sparse NMR Data," Department of Computer Science, Duke University. First job: Dr. Tripathy was teaching faculty at Duke University 2012-2013. Now a researcher at Amazon. Dissertation: "Novel Algorithms for Automated NMR Assignment and Protein Structure Determination," Department of Computer Science, Duke University. Dr. Zeng is an Assistant Professor at Tshingua University (IIIS) starting 9/2012. Dissertation: "Computational Molecular Engineering of Nucleic Acid Binding Proteins and Enzymes." Department of Biomedical Engineering and Program in Computational Biology and Bioinformatics, Duke University. Dr. Reza is currently a postdoc in the laboratory of Peter M. Glazer, Department of Therapeutic Radiology, Yale University School of Medicine. Dissertation: "Novel Algorithms for Computational Protein Design with Applications to Enzyme Redesign and Small-Molecule Inhibitor Design." Department of Computer Science, Duke University. First job: computational biologist in the Structural Bioinformatics Section of the Vaccine Research Center, National Institute for Allergy and Infectious Diseases (NIAID). Dr. Georgiev was co-head of the Structural Bioinformatics Section at the Vaccine Research Center, NIAID, NIH. Currently Associate professor (with tenure) at Vanderbilt University Medical Center. Dissertation: "Geometric Methods for NMR Structure Determination of Symmetric Homo-oligomers." Department of Computer Science. 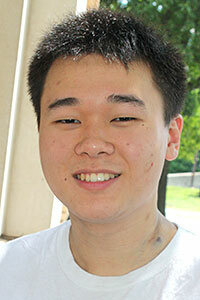 First job: postdoc in the lab of Dr. Pei Zhou, Department of Biochemistry, Duke University Medical Center. Dissertation: "Design, Fabrication and Parallel Control of Distributed Systems of Stress-engineered MEMS Microrobots for Microassembly." First job: A postdoc at the Berkeley Sensor and Actuator Center (BSAC), U.C. Berkeley. Dr. Paprotny is an assistant professor at the University of Illinois starting Sept. 2013. Dissertation: "Design, Fabrication, Control, and Programming of MEMS Micro-Robots." Department of Computer Science. Now a researcher at the MicroElectroMechanical Systems (MEMS) Project, Semiconductor Electronics Division, Electronics and Electrical Engineering Laboratory, NIST. Ryan Lilien, Ph.D., 2004, MD 2006. Dissertation: "Novel Algorithms for Structural Molecular Biology and Proteomics." Department of Computer Science and Dartmouth Medical School. Now an Assistant Professor at the University of Toronto with a joint appointment between Computer Science and the UT Medical School. Dissertation: "Molecular Replacement for Nuclear Magnetic Resonance: Application to NMR Resonance Assignment and Protein Structure Determination." Department of Computer Science. Now an Associate Professor (with tenure) of Computer Science at Carnegie Mellon University. Dissertation: "Programmable Force Fields for Distributed Manipulation, and their Implementation Using Micro-fabricated Actuator Arrays." Department of Computer Science, Cornell University. Now a full Professor of Electrical Engineering, and John M. Fluke Distinguished Chair of Engineering, at the University of Washington, in Seattle, and Director of the UW MEMS Lab. First post-Ph.D. job: Assistant Professor at Tulane. First post-Ph.D. job: Senior Member of the Technical Staff at Sandia National Laboratories. Now full Professor and Chair of Computer Science at Middlebury. Now a Senior Member of the Technical Staff at Sandia National Laboratories. Now a Research Associate at UNC, Chapel Hill. Now at the University of Illinois at Urbana-Champaign. Now on Faculty of Engineering and Sciences at Sabanci University in Istanbul, Turkey. First job: Assistant Professor at IIT-Madras. Research in Computational Biology and Chemistry. First job: Assistant Professor at the University of Massachusetts, Amherst. Now an Associate Professor (with tenure) at Tulane University. Now a full Professor at the Joint Center for Systems Biology of Jilin University and the University of Georgia, and College of Computer Science and Technology, Jilin University, Changchun, Jilin, P. R. China. First job: Assistant Professor of Computer Science at Purdue University. Currently Full Professor at Dartmouth. Now at the University of Michigan. Now Professor of Computer Science at MIT (EECS Department), and Director of the MIT CSAIL (Computer Science and Artificial Intelligence Laboratory). Currently a Fellow with Science Commons and a Research Affiliate of the Mathematics and Computation group in the MIT Computer Science and Artificial Intelligence Laboratory. Program Mobile Robots in Scheme! First job: Assistant Professor of Computer Science at UBC. Now Professor of Computer Science at U.B.C. and Rutgers. Thesis: "On Provable Algorithms for Determination of Continuous Protein Interdomain Motions from Residual Dipolar Couplings." Thesis: "Algorithms for Structure Determination of Symmetric Proteins from Nuclear Magnetic Resonance Data." Thesis: "An Algorithm For Determining Backbone Structures of Protein Turns and Loops Using Multiple Residual Dipolar Couplings in Two Media." Haoning is now a senior scientist at Medical Media Systems, NH. Francois Thelot, Undergraduate Thesis Student. Senior Thesis: A maximum entropy-based approach for the description of the conformational ensemble of calmodulin from paramagnetic NMR , Department of Mathematics, Duke University, B.S. (2016). Currently a Ph.D. student in Biophysics at Havard University. Hunter Nisonoff, Undergraduate Thesis Student. Senior Thesis: Efficient Partition Function Estimation in Computational Protein Design: Probabilistic Guarantees and Characterization of a Novel Algorithm, Department of Mathematics, Duke University, B.S. (2015). Currently a Ph.D. Student, Computer Science, Duke University. 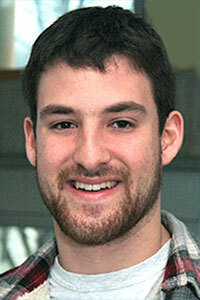 Winner of Goldwater Scholarship in science, mathematics and engineering for the 2008-09 academic year. Senior Thesis: "Cleavage-Based Algorithms for Experiment Planning and Data Analysis in Stable Isotope Assisted Structural Mass Spectrometry." 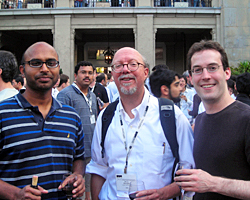 Ph.D. in EECS (MIT, 2009). Undergraduate student author of The NOESY jigsaw: automated protein secondary structure and main-chain assignment from sparse, unassigned NMR data. J Comput Biol. 2000;7(3-4):537-58. .
Senior Honors thesis: "A Method for Automatic Determination of Protein Secondary Structure from Sparse Unassigned NMR Data." Winner, John G. Kemeny Computing Prize (First Prize). Currently an M.D.-Ph.D. Candidate at Carnegie Mellon University/University of Pittsburgh. Currently a Ph.D. Student in EECS at MIT. Undergraduate student author of Allosteric Inhibition of the Protein-Protein Interaction between the Leukemia-Associated Proteins Runx1 and CBFbeta. Chem Biol. 2007 Oct;14(10):1186-97. Currently a Ph.D. Student in Molecular Biology and Biophysics at UCSF. Senior Honors thesis: "Data-Directed Conformational Search: Using Global Optimization to Determine Large Protein Structure from Sparse NMR Data." Currently a Ph.D. Student in Chemistry at MIT. **Joined as joint R-Lab/D-Lab Ph.D. student. ***Joined R-Lab, collaborates with D-Lab. +Joined Beratan Lab, collaborates with D-Lab. Dan Keedy*** Biochemistry. Now at UCSF.